Bulkhead fitting for easy connection of external components to the cooling loop. The new generation of bulkhead fittings was specially developed for Highflow systems. 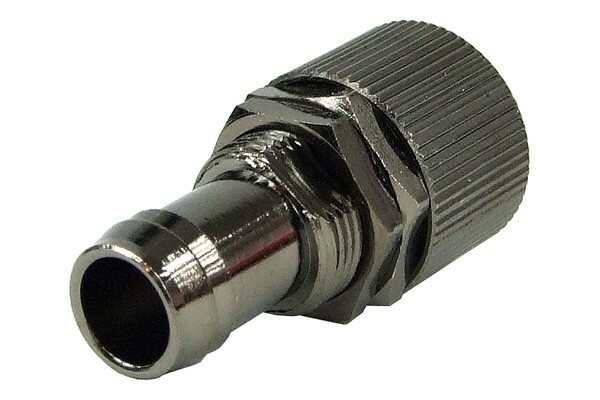 This fitting is equipped with a compression fitting on one side. The other end of the bulkhead fittings is equipped with a hose barb. To ensure the best possible safety a hose clamp is included. From the side of the hose barb an also included nut can be screwed onto the outer thread of the fitting to fixate it in the loop-through hole. The hole must have an inner diameter of 15mm.